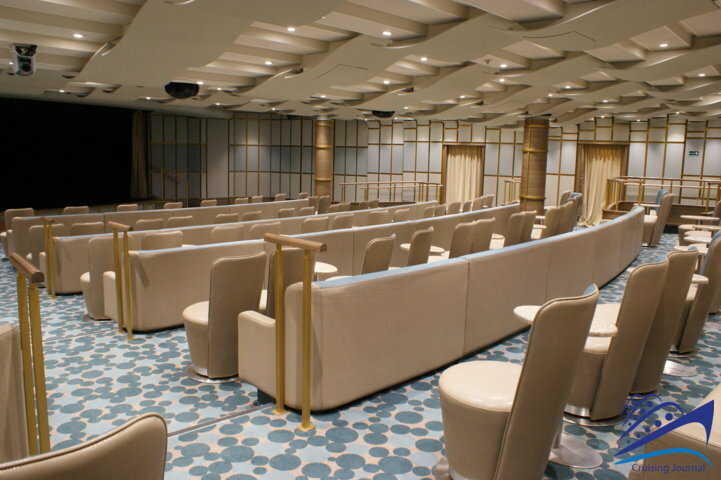 The new cruiseship project designed for Silversea began with the launch of the Silver Muse a 40,700-ton unit that can carry 596 passengers. 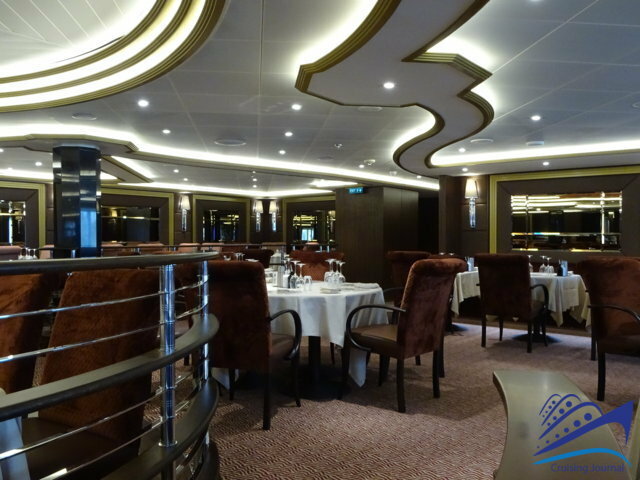 As for the Silver Spirit in 2009, Fincantieri was called to build the Silver Muse as well as a second twin ship that will soon be completed. 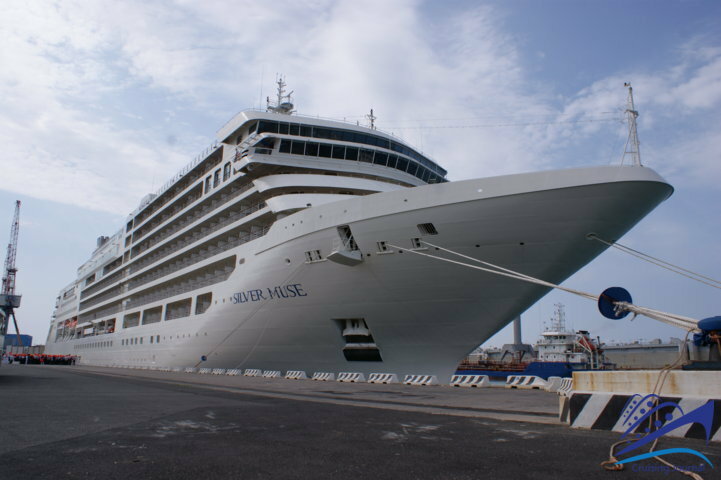 The Silver Muse has eight passenger decks with most of the common spaces located at the stern, whereas the bow end of the ship is reserved for the suites. 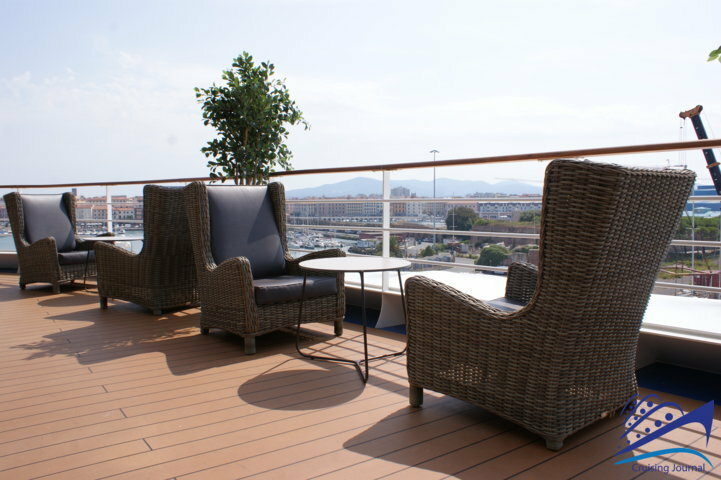 At Deck 5, you will find the first of the common spaces including: the Reception, the Shore Concierge and the Cruise Consultant. A bright spacious area is reserved for the Main Bar, which is an ideal location at any time of the day or night, where you can have breakfast, appetizers or even after-dinner drinks. Aft of Deck 5 houses The Theatre where a variety of shows, events and conferences are held. 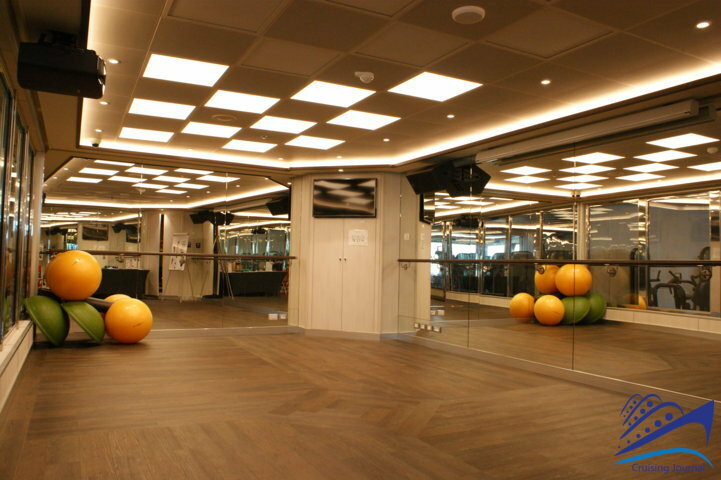 Fitness and wellness fans will have to go to Deck 6 to find the Spa of the Silversea with its saunas, Turkish baths, massage rooms and various treatments. 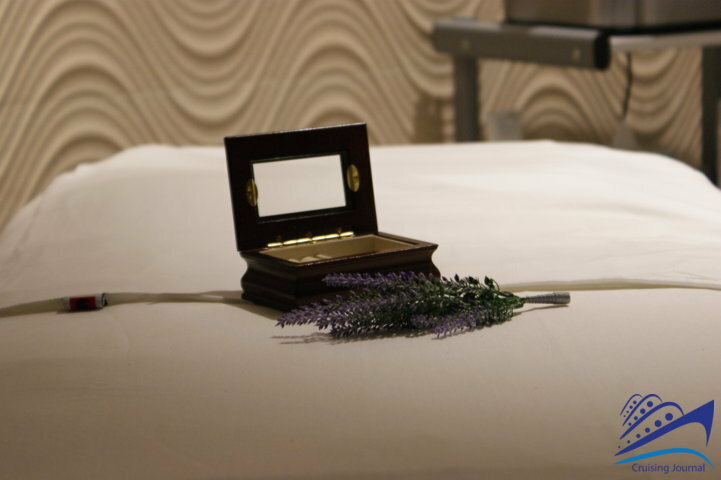 The Spa also has a reserved area where an entrance fee must be paid to access it. 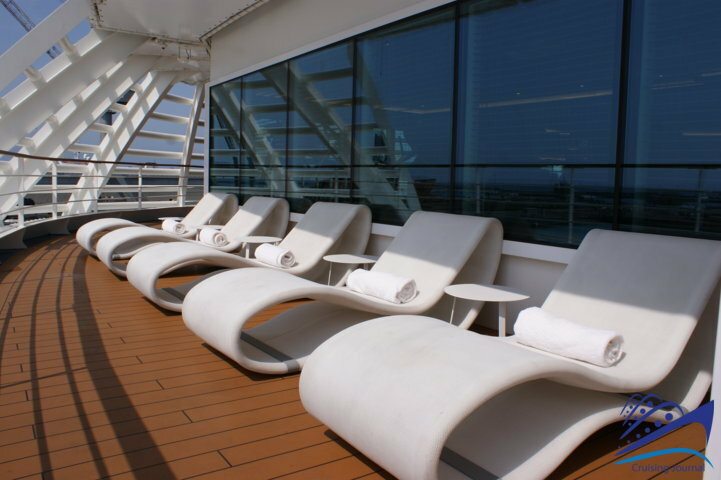 The reserved area includes: an indoor relax area, outdoor sunbeds and a large Jacuzzi. 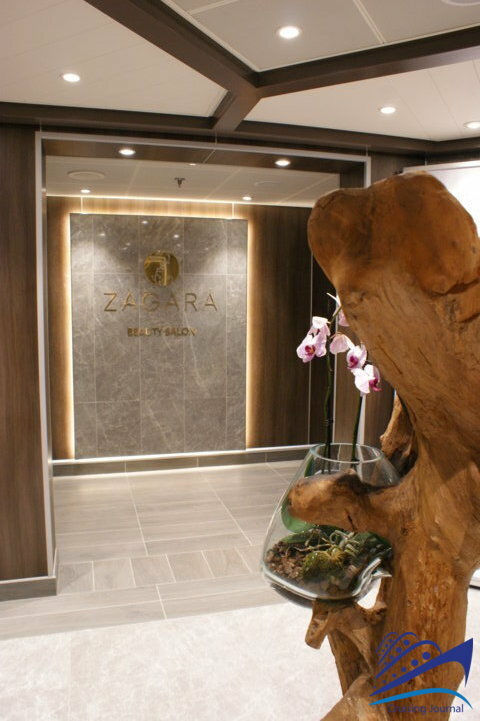 The Zagara Beauty Salon and the Fitness Center complete the wellness area with a variety of sports equipment and a room for courses and private lessons. 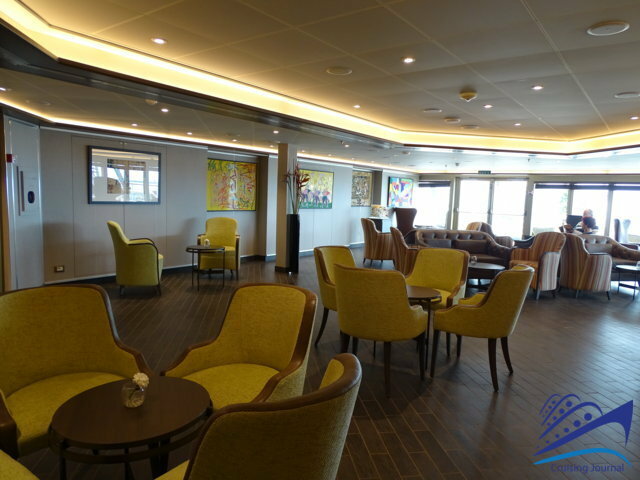 If you make your way to Deck 8, you will find the Arts Café that is perhaps one of the most comfortable places onboard to relax and enjoy the tranquility of sailing on the high seas as well as savoring light meals at any time of the day. Passengers can browse through art books available at the Café and enjoy a coffee or drink served alongside tempting sweet or savory snacks. 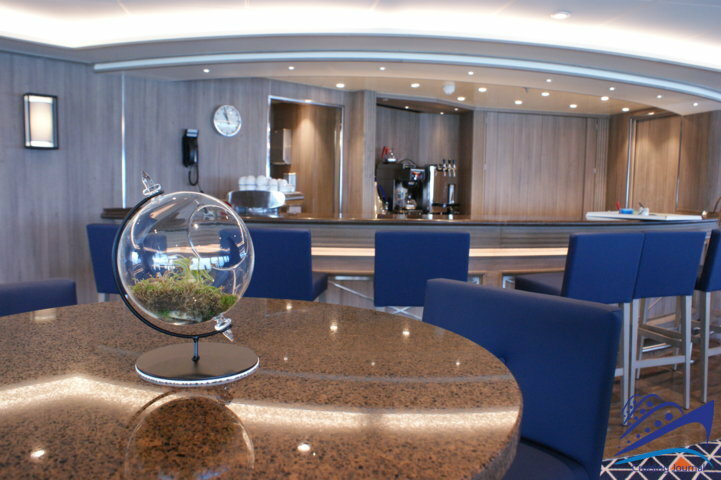 Some of the art works showcased at the Café are collected in a catalogue and sold directly onboard. 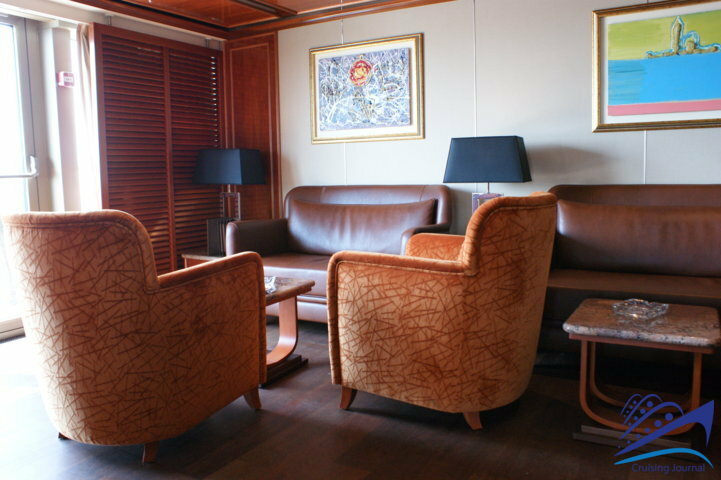 The Café also has an outdoor terrace towards the stern with comfy wicker armchairs and sofas. Adjacent to the Arts Café is the Connoisseur’s Corner where not only is smoking allowed but you can also buy cigars to pair with whiskey or rum. 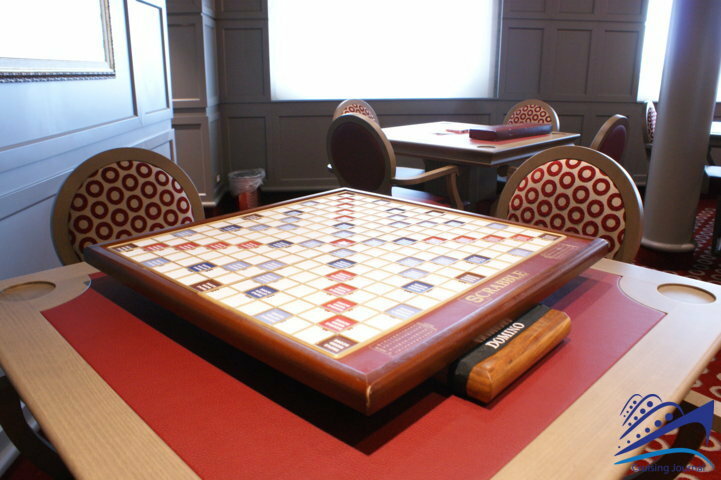 The Conference/Card Room is right nearby where you will find an assortment of table games and when necessary it becomes a conference room. 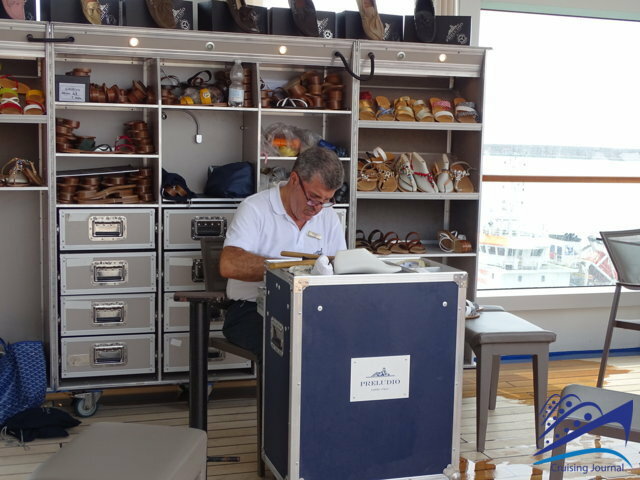 Nearby you will find boutiques where you can buy anything from simple souvenirs with the Silversea logo to jewelry and watches. 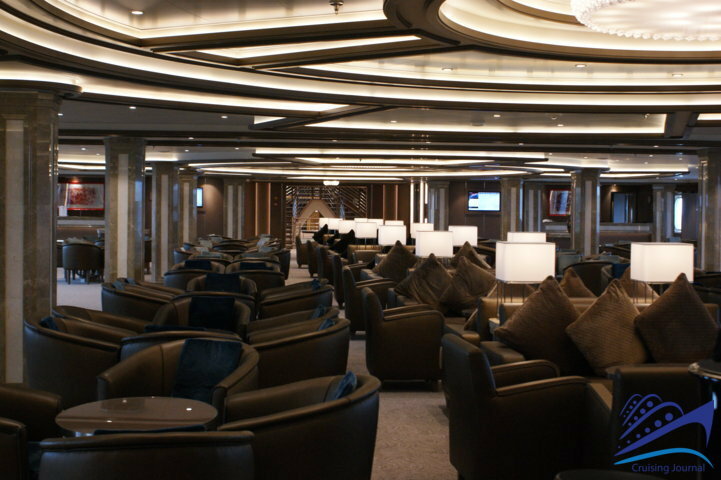 At the stern of Deck 9, you’ll find the busy Panorama Lounge. 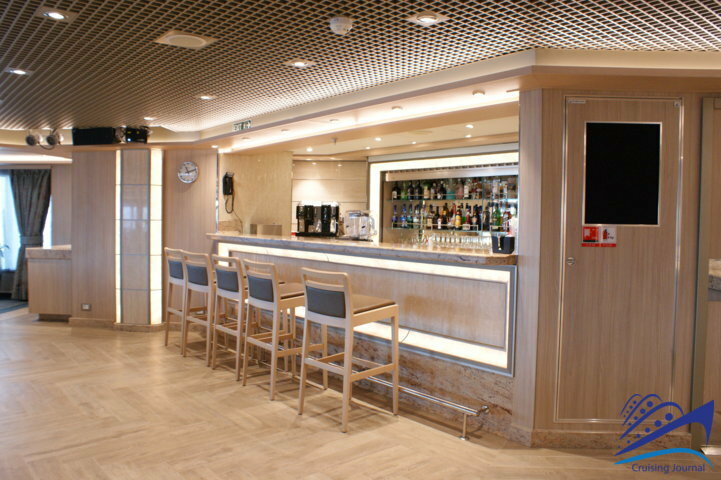 During the day, it is a peaceful relaxing venue but in the evening, it becomes the liveliest place on the ship with live music and DJ sets. 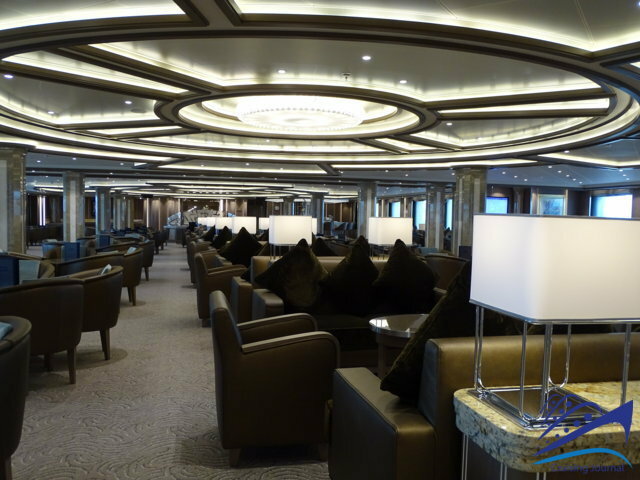 The Panorama Lounge also has outdoor tables and comfortable seating facing aft where you can sit and enjoy the magic of the wake of the ship. For the younger passengers, the Children’s Room & Outdoor Area is a small-sized space filled with games and endless recreational opportunities. 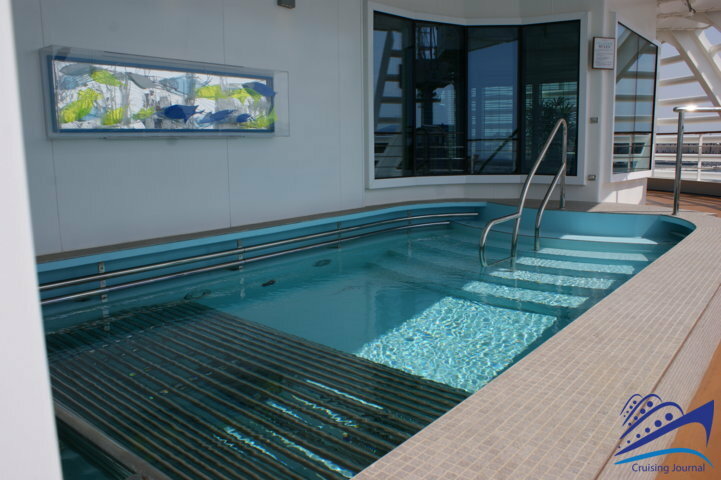 If we take into account the size of the ship, the Silver Muse has a rather large pool complete with two Jacuzzis, one at each rear corner of the pool. 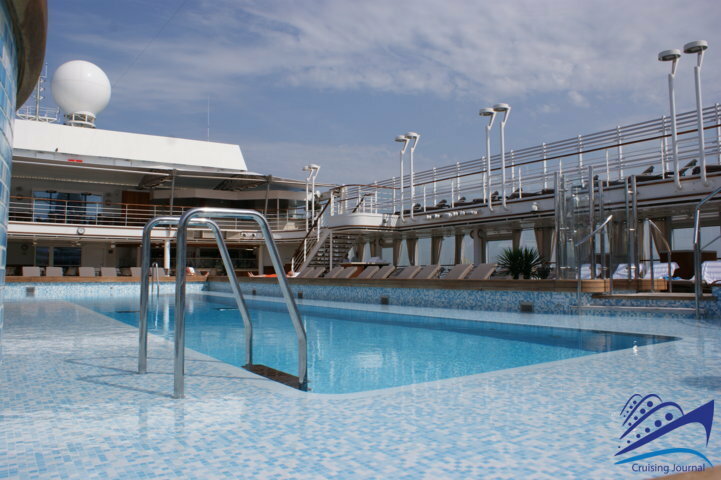 The Pool Grill/Hot Rocks and the Pool Bar located at the bow end cater to the Lido Deck. 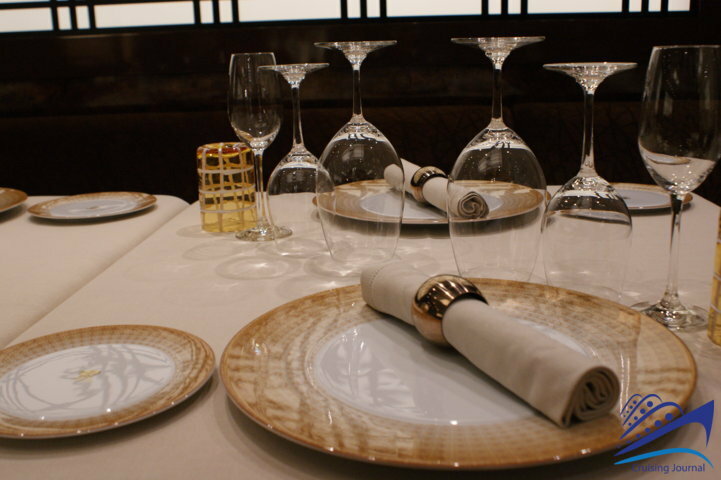 These venues are all characterized by an informal style at both lunch and dinner. 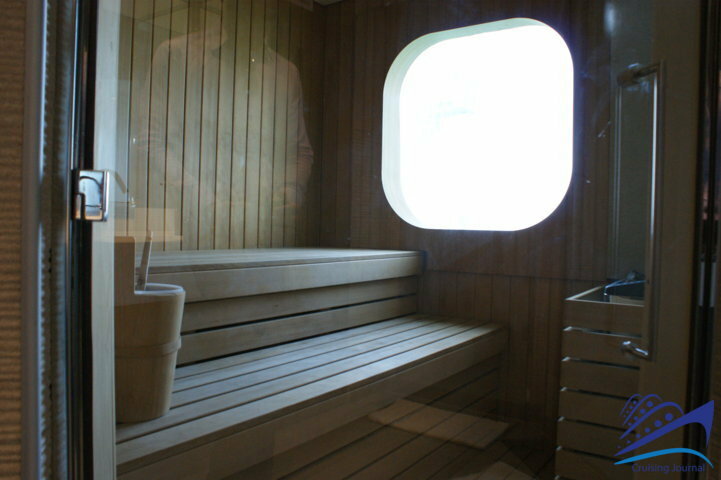 A third Jacuzzi is found at aft end surrounded on one side by sunbeds and on the other by cozy alcoves much sought-after by passengers looking for quiet time and privacy. 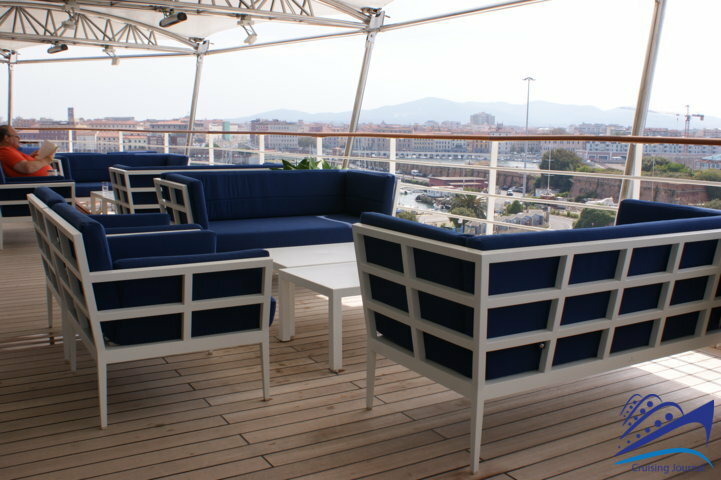 The Spaccanapoli Pizzeria on Deck 11, an informal dining venue at both lunch and dinner, overlooks the pool. 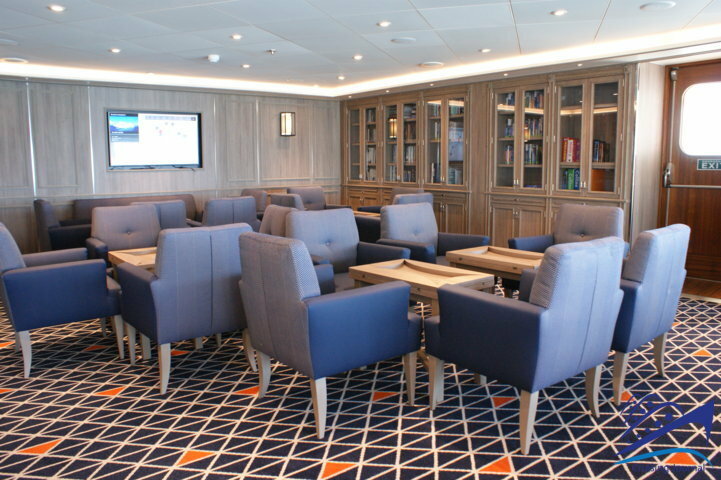 The Observation Lounge at the stern offers its guests a great selection of books that can be freely consulted, a large screen at the center of the venue where you can follow the route of the ship, and a selection of your favorite cocktails. The name says it all and from here, you can enjoy a 270° view of the ocean. 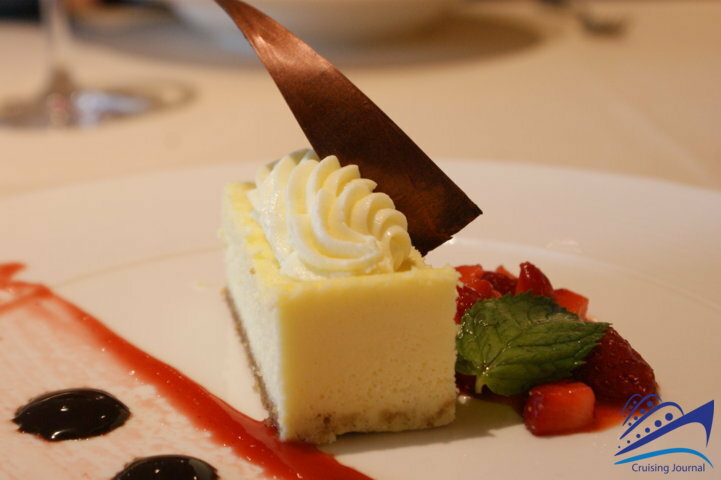 Silversea definitely aims at standards of gastronomic excellence on its ships. 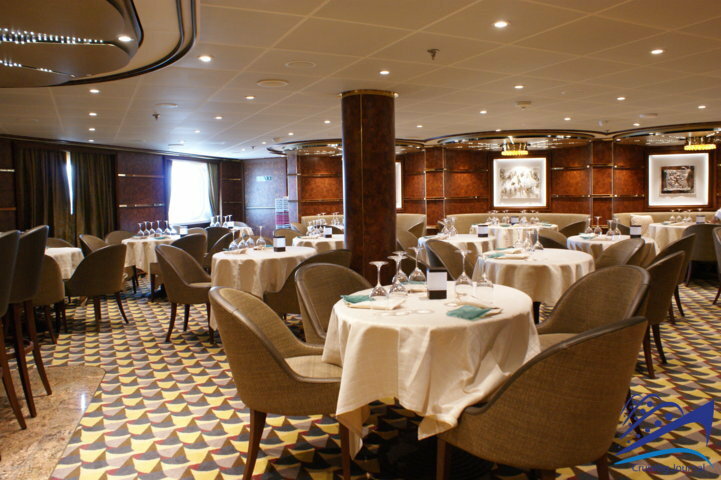 There are four restaurants arranged in a circle around one common entrance on Deck 4. 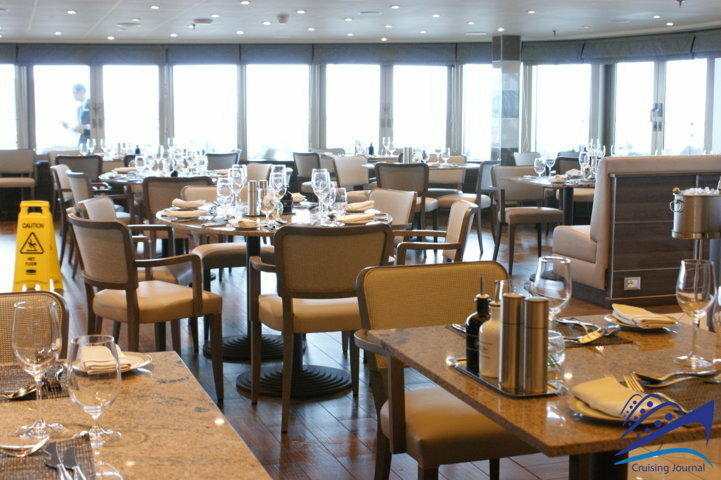 Atlantide is the main complimentary dining venue open for breakfast, lunch and dinner. 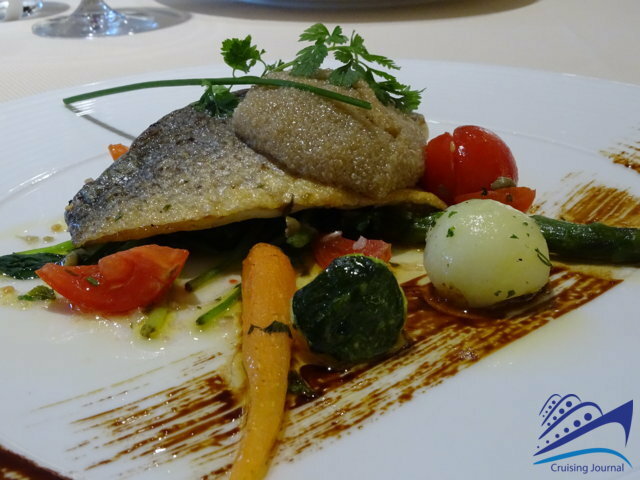 It offers a selection of international dishes with particular attention paid to the traditional cuisine of the local ports of call. To the left of the entrance you’ll find a bar that serves appetizers as the guests wait for their table. 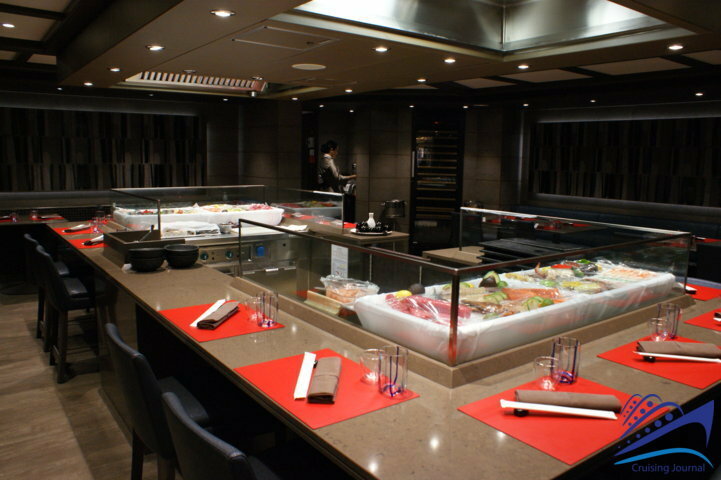 Kaiseki, the not to be missed Japanese restaurant, is free at lunch but charges a fee at dinner. It is a rather small venue with tables on three sides. 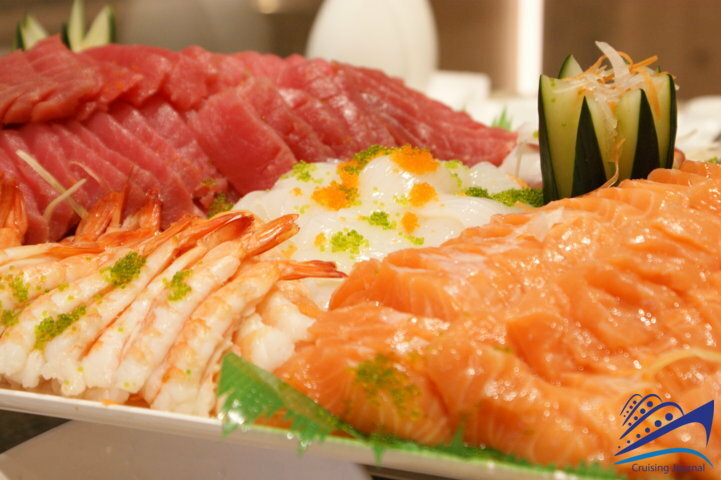 There is a central station where the guests can watch sushi and other Oriental dishes being prepared. The Indochine, which is a much bigger dining venue, also offers oriental cuisine or Asian-fusion to be exact, inspired by the 1500 fragrances Marco Polo came upon during his travels to China. 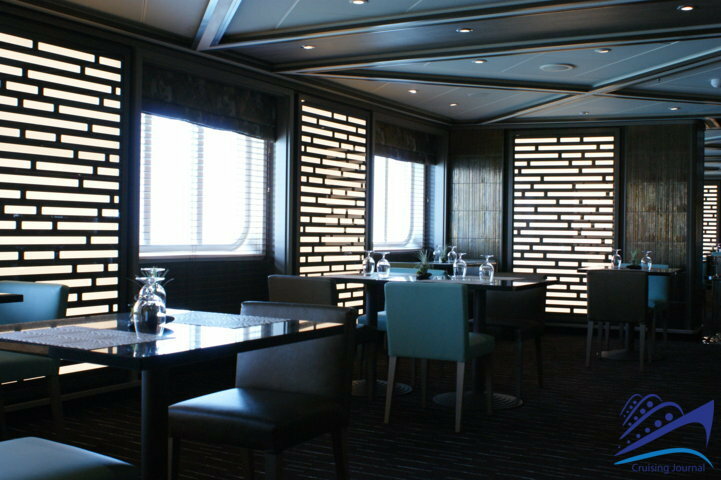 The fourth dining venue found on Deck 4 is the exclusive La Dame run in collaboration with Relais & Chateaux. Fees are required to dine here and savor traditional French cuisine in a subdued intimate environment. 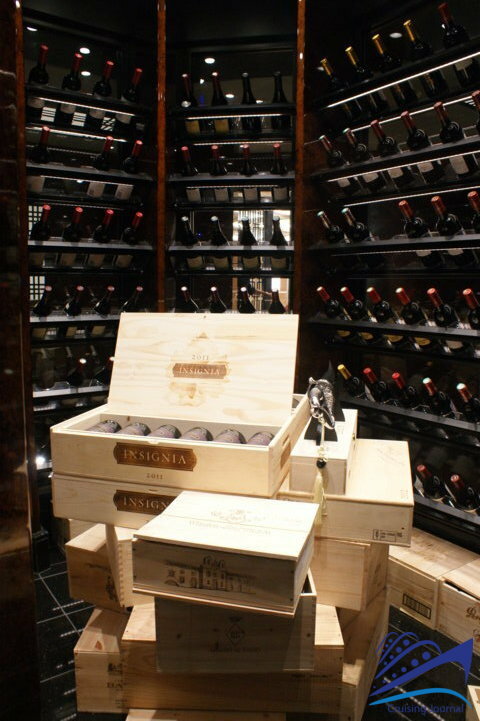 The wine rack is in plain sight of the guests with a great selection of fine wines. 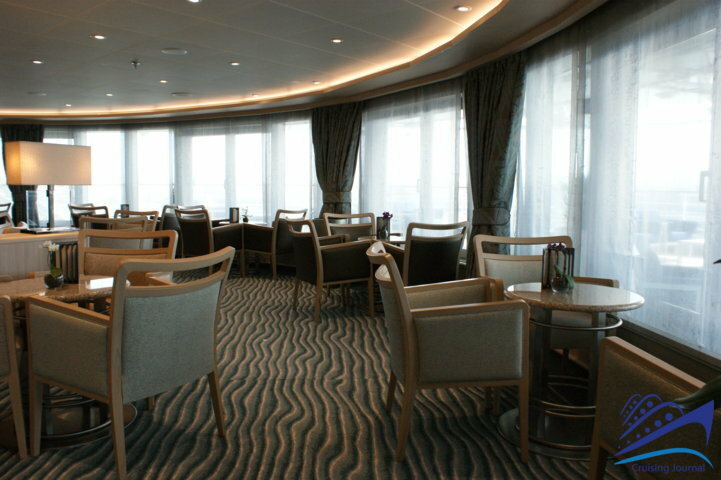 An alternative dining option is of course La Terrazza, a buffet-style restaurant located on Deck 7. 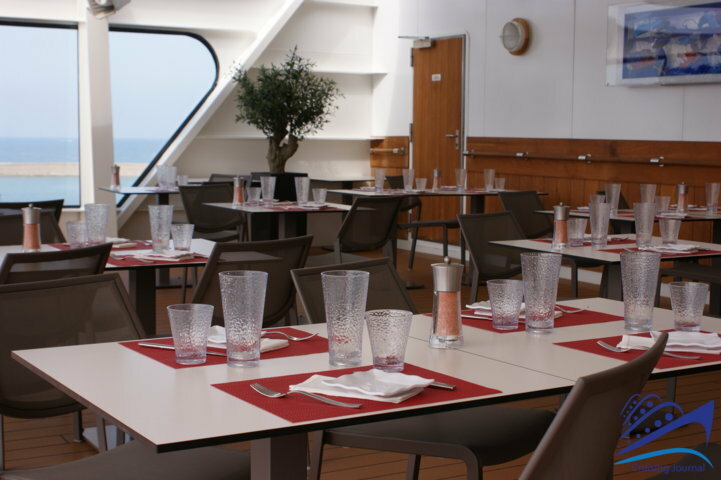 The restaurant features both indoor and outdoor seating on its aft side terrace. 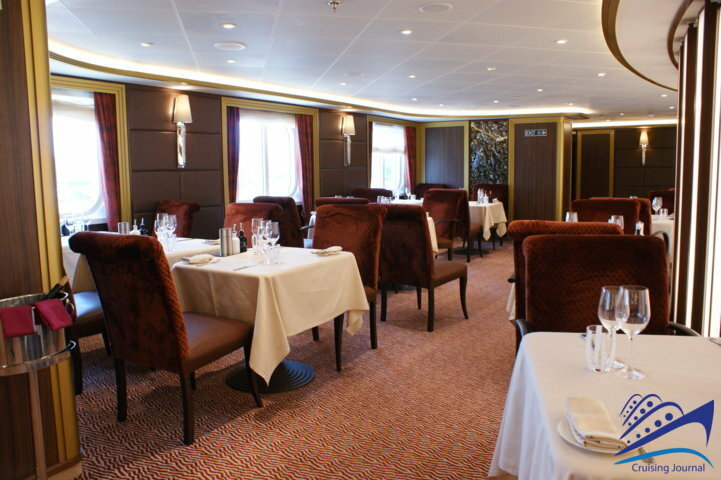 As in all the other Silversea cruise ships, in the evening La Terrazza becomes an à la carte Italian restaurant where fee-free reservations are required. Not far from here is the Silver Note, a Jazz Club where you can order small servings from an incredible assortment of international dishes as you listen to live music. Lastly, in the evening, the Pool Grill becomes an informal restaurant where you can order meat or fish served on “hot rocks”, that is, high-temperature lava rocks. 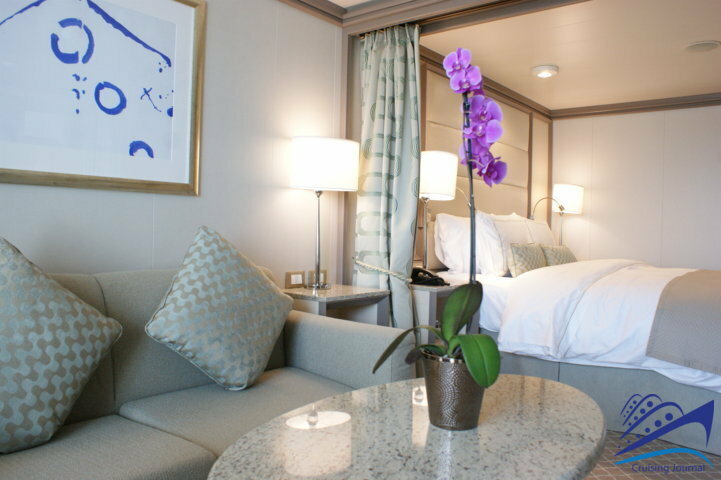 There are numerous types of accommodations onboard the Silver Muse. All the cabins are “suites” and they all have private balconies. The Veranda Suites are classified as Classic, Superior and Deluxe, each having a surface of 36 square meters, a large desk with a TV incorporated in the mirror, bathtub and shower. 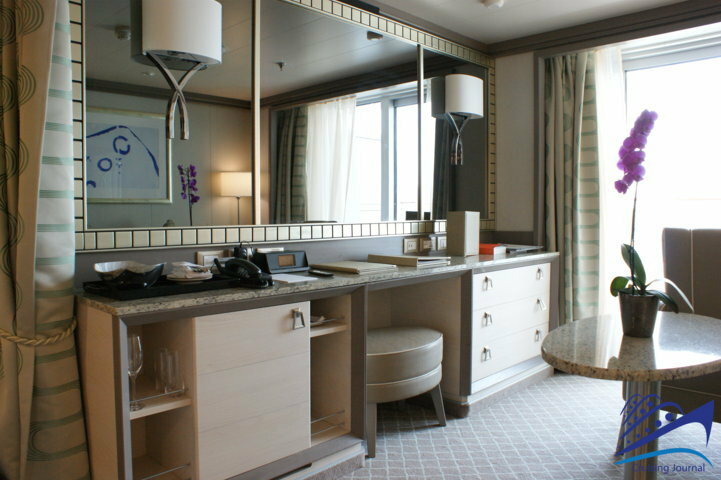 The Silver Suite is almost double in size and can accommodate up to five persons. 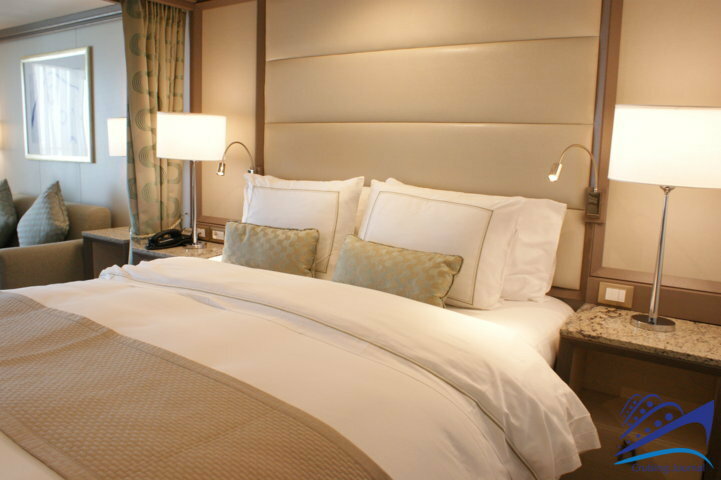 The Royal Suite is 105 square meters and the Grand Suite is even bigger. 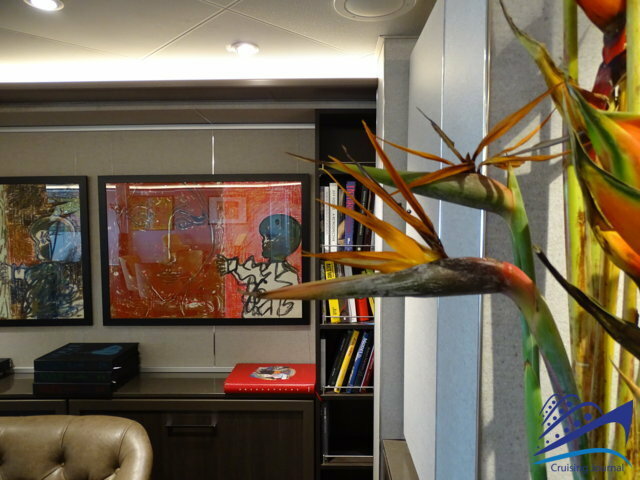 The Owner’s suite is 129 square meters, has its own dining room, and features a 55-inch TV. 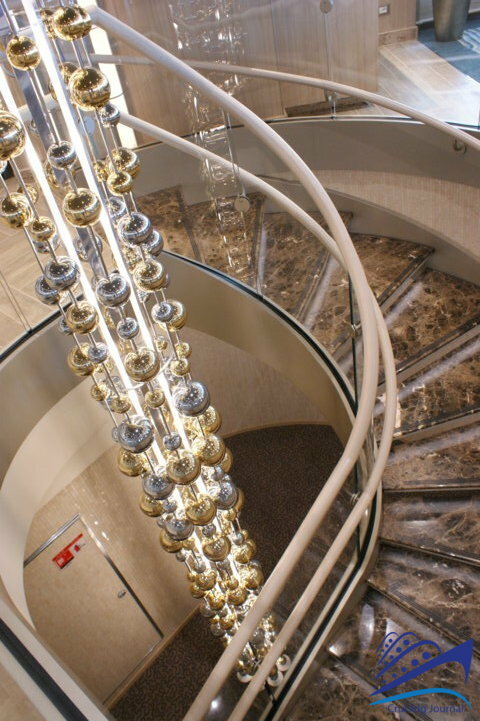 The Silver Muse is most certainly a luxurious and elegant ship but it is still able to meet the needs of the modern cruise industry: the culinary selection offers the utmost flexibility and variety of choice; exclusive port calls with many overnight stays; a spacious Lido Deck and the opportunity to really connect with the surrounding sea thanks to the many luminous and welcoming spaces found onboard. The impressive staff to passenger ratio (408:596 passengers) assures a very high standard of services.